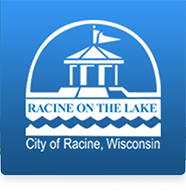 The City of Racine Public Health Department, as an agent of the State of Wisconsin, is responsible for the inspection and licensing of all restaurants, taverns, caterers, hotels, motels, and public pools. City of Racine Municipal Code requires at least one inspection annually at each licensed facility. The licensing year begins July 1st and ends June 30th of the following year. Please keep in mind that any inspection report is a "snapshot" of the day and time that the inspection took place. On any given day, a restaurant could have fewer or more violations than noted in the report. An inspection conducted on any given day may not be representative of the overall, long-term operation of an establishment. These inspection reports are for informational purposes only. Click here for background information about restaurant inspections. All restaurant inspection reports are public record and may also be viewed in the Environmental Health Division office by completing a Request to View File Form.